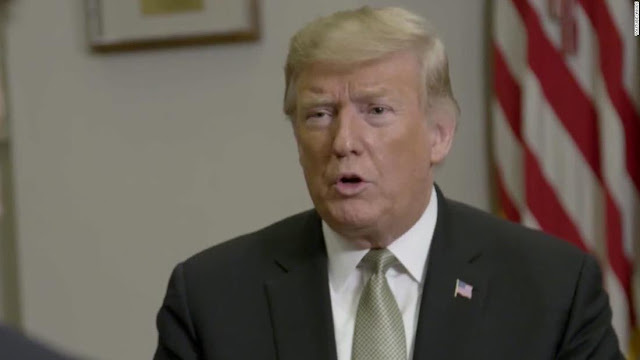 undocumented immigrants born on US soil, President Donald Trump said in an interview on Tuesday. In an interview with "Axios on HBO", Trump said he is working with legal counsel to put an end to the practice, which has existed since 1968 and stipulates that citizenship is automatically granted to any person born within US territory. Revoking birthright citizenship would spark a court fight over whether the president has the unilateral ability to change an amendment to the Constitution. The 14th Amendment guarantees that right for all children born in the US. Asked about the legality of such an executive order, Trump said, "they're saying I can do it just with an executive order". "It's ridiculous and it has to end..."
It's unclear how quickly he would act on an executive order.